Great Business in Alberta Beach. Solid operation for an Upholstery Business. 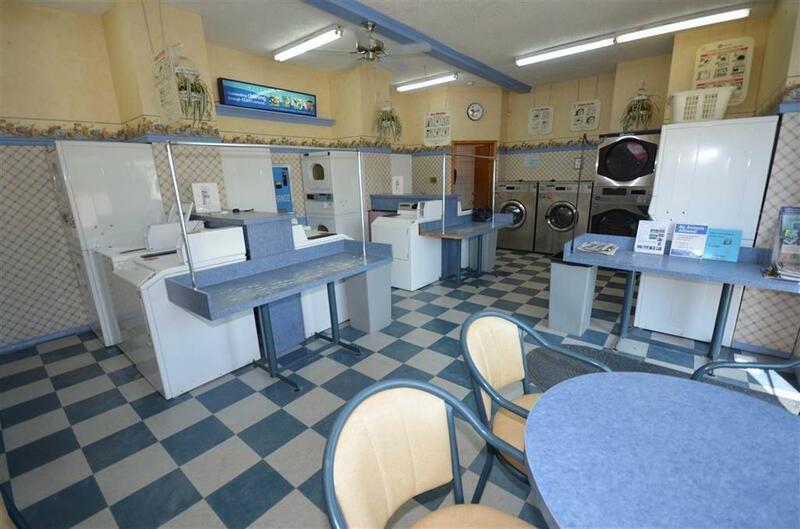 Laundromat, Drinking Water Business, Plus monthly rental on Well Established Hair Salon. An Alberta Beach Gem. 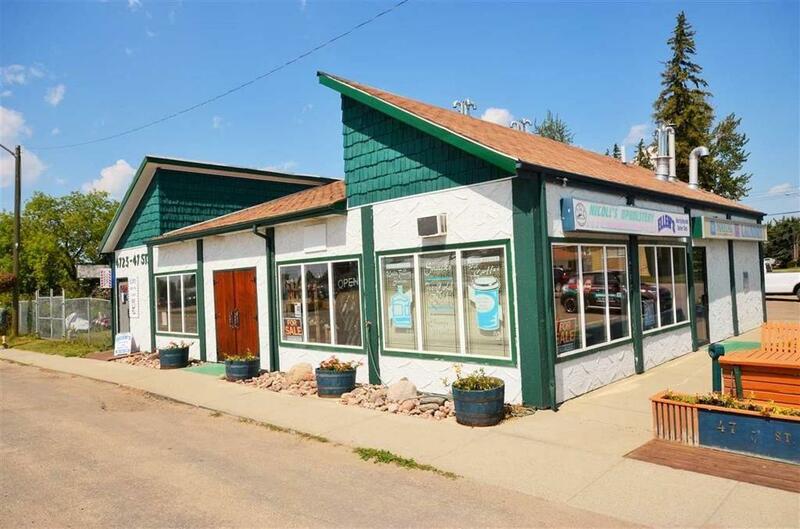 2000 sq ft building close to the Main Street of Alberta Beach. It is fully air conditioned. The building is divided into 3 bays. One at 270 sq ft which is a Hair Salon. Middle Bay is set up as a Retail (former Upholstery) with Store Front, Overhead door access and bathroom. 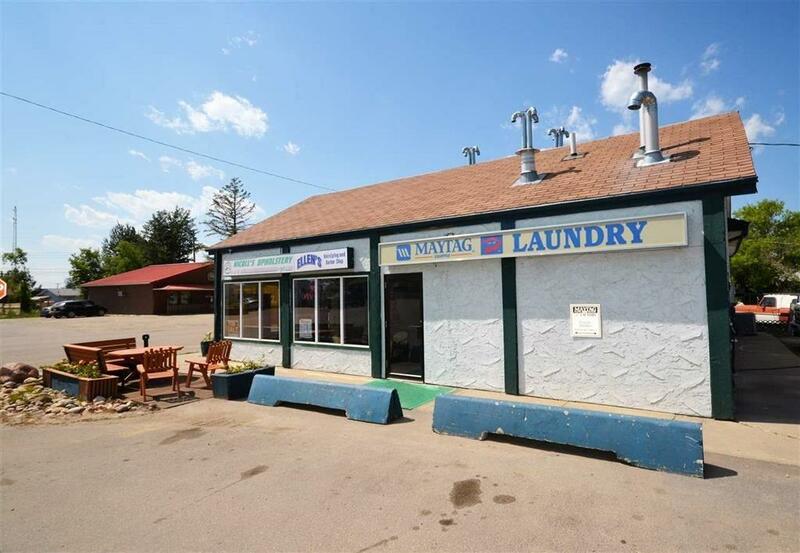 3rd Bay, at 640 sq ft is a Coin Laundry with Maytag equipment. There are 13 washers and 13 dryers. Each unit has a computer system to diagnose what is wrong if the machine quits working. 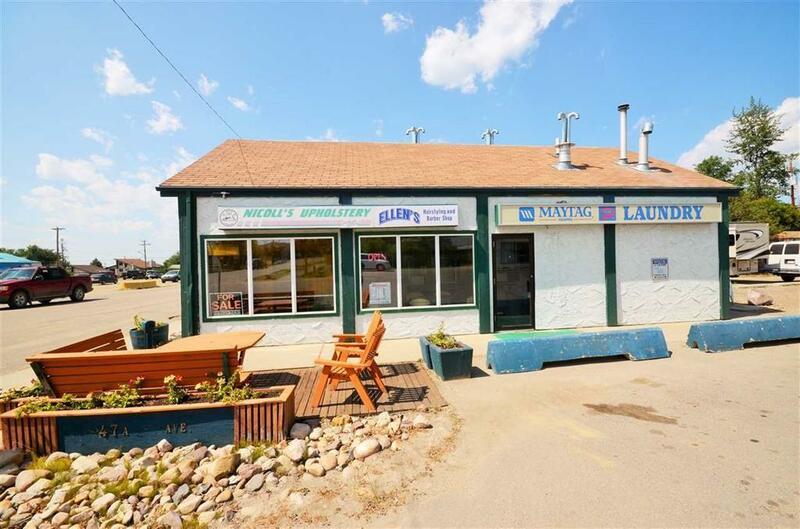 The laundromat is owned and operated by the building owners. In the laundry is a side business that dispenses water from a reverse osmosis system. Customers bring in their water bottles and pay to fill them. This water dispensing machine is coin operated where the priced is based on the size of the container used. Also in the laundry room are other Vending machines.